Suited well for boxed candy and gum. Sits flat or at a a 15 degree downslope. Bilt in front fence holds boxed goods from falling off frint of shelf. Compatible with most Gondola Shelving System manufactures such as Madix and Lozier in most sizes. 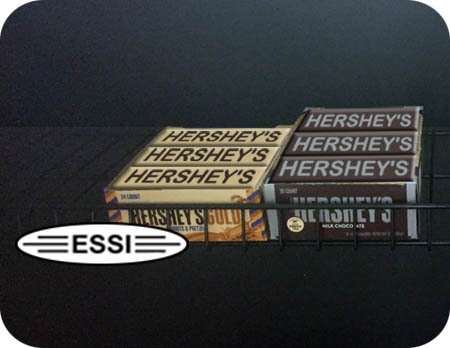 Browse a large selection of Candy Racks for a counter and your existing Gondola Shelving System.